Left Hand Brewing Company hosts Hops and Handrails. Photo provided. 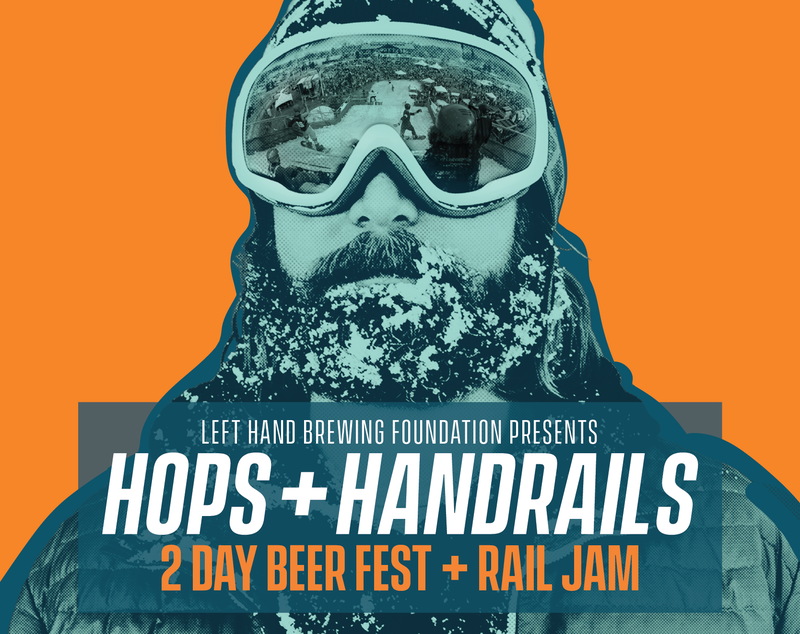 Left Hand Brewing Company is hosting Hope and Handrails on March 24 -25 with Karl Denson’s Tiny Universe, The Werks, Kessel Run and Colorado’s Spyscraper performing live on stage. On March 24 the event will host a 40’ high snowboard ramp & rail jam competition. During the first day the event will be open from 12-6 p.m. MST at Roosevelt Park in Longmont, Colorado. Sunday will be provide families the opportunity to enjoy sledding & tubing hill festivities from 12-4 p.m. MST. In addition to the outdoor recreation and live music, Left Hand Brewing Company will also be hosting over 50 breweries at this two-day festival. Preview some of the music set to take place at Hops and Handrails hosted by Left Hand Brewing Company. Also, check out the beer selection and schedule of events below. Kids get free admission both days. For more information on tickets, browse over their main website.